Project Archive in Force.com IDE is used to get a backup of destination environment before deployment begins. This Archive can be used for future reference and can be used for reverting back the changes done earlier. 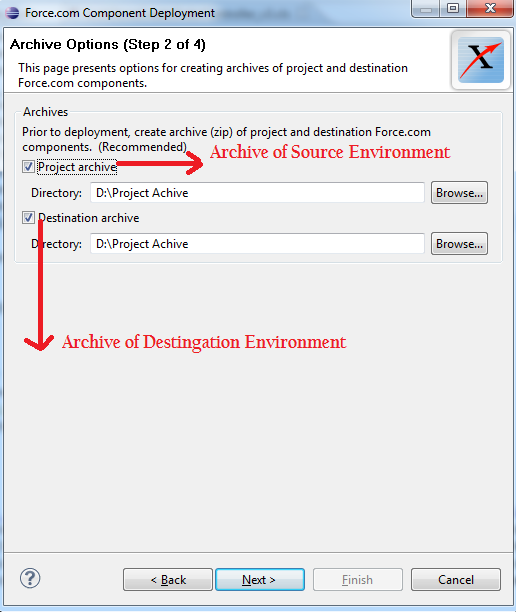 A deployment archive (archive of destination environment) is not generated if the deployment plan only contains deletes. I am ramesh, I am unable to install Eclipse in lap,any suggestion.